A new interview is with Acel from Marocco, who is doing his internship at Futuro Digitale. [Acel] Well, first of all, it is the different in culture and people attitude towards foreigners, for me this is my first internship and I would say it’s good so far. [Acel] Depends on what they are looking for but for sure I don’t regret choosing it. 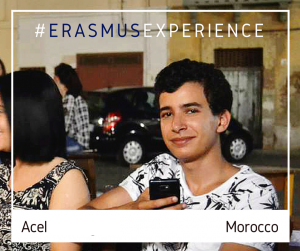 [Acel] Yes, Erasmus is important because it expands your view of the world and your understanding, because no matter what people tell you about foreign countries, you won’t understand it until you experience it by yourself.